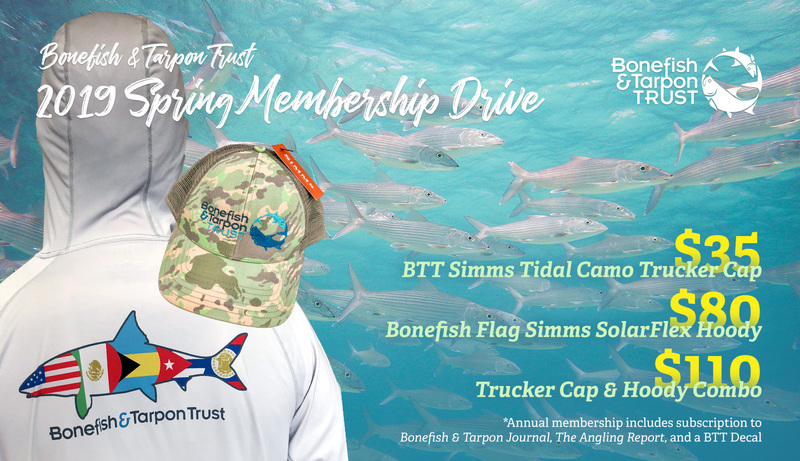 By becoming a member of Bonefish & Tarpon Trust, you are helping us conserve bonefish, tarpon, and permit fisheries through stewardship, research, education and advocacy. If your membership includes the Simms SolarFlex Hoody, you will receive an e-mail requesting your size preference upon completion of your purchase. If your home country is not listed under the billing info tab, please call the BTT office to sign up: 786-618-9479.